Busy busy busy is what the start of our newsletter addresses. And guess what, it’s been busy!! Hitting the financial record of the quarter has been the icing on the cake this month. We smashed our targets and will be celebrating in the Hunter Valley in the next couple of weeks as a nice pat on the back with one hand, and a glass of Australian wine in the other. We welcome some more fresh faces to CGC - Spencer and Alex (both Aussies Oi Oi). Spencer has been brought on alongside Matt on the contractor desk while Alex alongside Christina in Architecture, welcome welcome. The recruitment of new recruiters is a product of the success CGC has accomplished; we are doing well to establish ourselves as specialist busy-bees in the market. With the new financial year upon us the rail industry continues to steam ahead. The unprecedented growth in the sector continues and we are seeing a new wave of major rail projects across the country. Sydney and Melbourne are still taking the headlines but the shift from last year sees major investment coming in to Brisbane, Adelaide and Perth. Just this week hundreds listened to the Perth Transport Authority briefing about upcoming METRONET rail projects including the Thornlie-Cockburn Link and Yanchep Rail Extension projects which are expected to generate more than 3,000 jobs in WA. Up in Brisbane they are gearing up for the $5.4bn Cross River Rail project, which will integrate with proposed Brisbane Metro bringing further economic development and job generation to the city. Here in Sydney the Northwest Rapid Transit is well on its way to completion, with driverless trains tested across the Rouse Hill section. 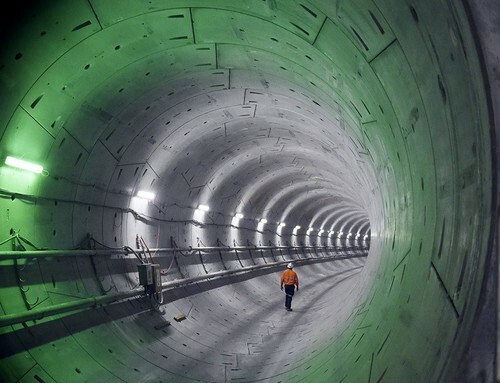 There is no slowdown however, with early works underway on the mammoth Sydney Metro City & South West project and Parramatta Light Rail amongst others. With the Melbourne Metro making progress, the $2.3bn HCMT project has moved to manufacturing phase and will supply 65 new trains to the network. Finally, we are seeing a lot of movement with ARTC’S $10bn Inland Rail which will create a further 16,000 jobs for Australia. All in all, a very exciting time for the railway industry, but it will be interesting to see which companies have put together the strongest resourcing strategies to cope with such growth in an already scarce candidate market. The transition from the old financial year to the new has been a very exciting one, particularly in the Sydney office. No less than five new starters have joined us since late May!! Anita McDermott, Prashilta Prahalad, Inga Fraser, Spencer Williamson and Alex Lowe. A warm CGC welcome to all of you. 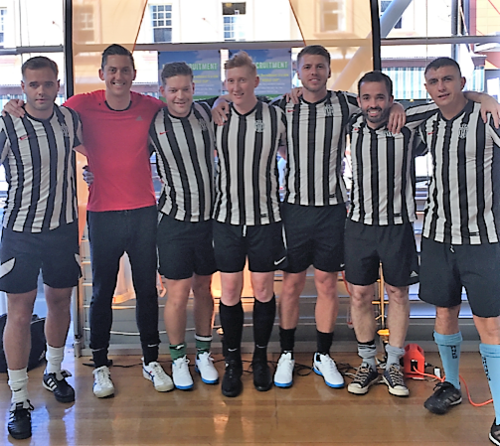 On Friday 6th July, the lads participated in the inaugural Sydney Recruitment World Cup. They battled it out against nine other teams at the KGV Recreation Centre at The Rocks. Looking like Juventus, and playing like Juventus, they meant business from the outset and breezed into the semis with 3 wins and 1 draw. Sadly their run then came to an end however the more than $15,000 that was raised on the day will go a long way to help foster children in Sydney. We are proud of the time, energy and good sportsmanship that our boys put in to the event. Birthday wishes to Spencer (26/6), our twins Billy and Mikaila (7/7), Danyelle (16/7), and our other twins Rory and Dan (27/7). There won’t be a shortage of cake in July, that’s for sure. Also, happy CGC Anniversaries to Nic (1yr), Azri (4 yrs) and Lindsey (1 yr). Finally, there is quite a buzz around the Sydney office with regards to the End of Financial Year getaway to the Hunter Valley. The excursion will start on the morning of Thursday 26th July and some (possibly) sore heads will be returning to Sydney and Brisbane on Saturday 28th. Main points of contention seem to be “who will be rooming with who” and “who will consume the most wine and still be coherent”. Unfortunately Dan will not be joining us in the Hunter as he'll be in the snow and neither Fiona as she is performing in a theatre production of My Fair Lady in Gosford for which she has been rehearsing madly for weeks. Photos to come!